A limited edition Lotus Elise sports car, with 100 left hand drive cars, were built for the Italian dealer network in July 1999. They were painted in the John Player Special (JPS) colours of black, with gold wheels and grilles, and displayed a "Heritage" badge. Furthermore, another limited edition of 50 cars, with right hand drive, and designated as the Type 79 sports car, were ofered with either 1.8 litre Rover K-Series standard or Variable Valve Control (VVC) engines. 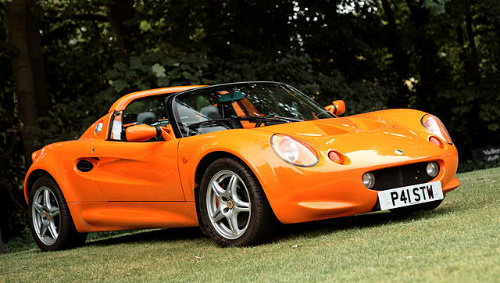 Introduced in October 1999 at the London Motor Show, this special edition Lotus Elise sports car shared the same colour of red, gold, and white as the Type 49 Formula One race car. This Elise was powered by either a 1.8 litre Rover K-Series standard or VVC engines. Also introduced in October 1999, this Millenium Edition Lotus Elise was based on the standard Elise or Elise 111S variants. Painted in Atlantis Blue, both the leather seats and road wheels from the 111S were painted black, while the rear wheel arches had spats. Based on the Series 1 Elise, and with a name derived from the fact that only 340 units were built, the Lotus Elise 340R sports car was launched in August 1999 at the Hippodrome in London. It was the most radical of all the Elise variants. The body shell, which was custom made, contained neither a roof nor doors, and was painted in silver and black. It was powered by a 1.8 litre Very High Performance Derivative (VHPD) Rover K-Series engine, which developed 177 bhp at 7800 rpm, and 126 ft/lbs of torque at 6750 rpm. Fitted with a Rover five speed PGI close ratio gearbox, it had a top speed of 135 mph, a 0-60 mph time of 4.3 secs, and a 0-100 mph time of 12.4 secs. Power enhancement was available by way of a Track Pack, which included adjustments to the engine management system, no catalytic converter, and no sports silencer. With such an addition, power was increased to 195 bhp at 7500 rpm, and 139 ft/lbs of torque. 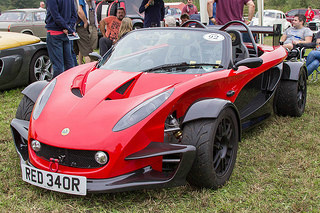 In the UK, the Elise 340R was road legal. Launched by Lotus at Brands Hatch in April 2000, the Lotus Exige sports car was, essentially, a fixed head coupe version of the Elise. It was designed to be used on both track and the road. It was powered by the 1.8 litre, Rover K-Series VHPD unit, as used in the Elise 340R, and developing 177 bhp at 7800 rpm. There was the option of upgrading from 177 bhp to 190 bhp by using the Track Pack, which excluded a catalytic converter. This resulted in a top speed of 137 mph, and a 0-60 mph time of 4.7 secs. The Exige featured a lightweight, reinforced glass fibre body, with a front aerodynamic splitter, sports suspension, a close ratio gearbox, larger black wheels, and a transparent tailgate to view the engine. It was fitted with a large carbon fibre high level rear wing, similar to that used on the Lotus Esprit Sport 350, which increased downwrd pressure to improve rodholding, and minimise drag. Optional extras included a sports exhaust, and the same seats as used in the 340R. In October 2000, air conditioning became standard equipment on the Exige. The Series 1 Lotus Exige was produced until 2002, when 604 units were built. It was reintroduce in 2004 as the Series 2 variant. 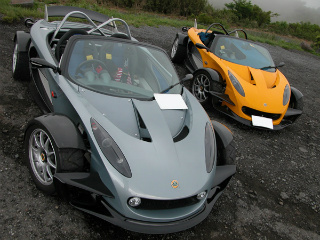 New European directives on car impacts caused Lotus to seek a business partnership with General Motors. This resulted in Lotus agreeing to build specified Opel and Vauxhall performance cars. 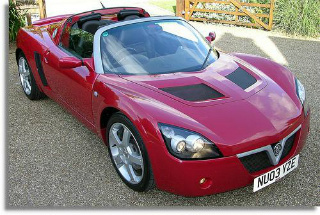 Launched as a concept car at the March 1999 Geneva Motor Show, and designated the Type 116, the VX200, also known as the Speedster, was powered by Vauxhall's new 2198 cc, ECOTEC, 4-cylinder engine. This developed 147 bhp at 5800 rpm, and 203 ft/lbs of torque at 4000 rpm, with a 0-60 mph time of 6.6 secs, and a top speed of 132 mph. In 2003, the VX220 Turbo sports car was introduced, fitted with the 1.8 litre turbocharged engine, as used in the Vauxhall Astra SRi, and developing 200 bhp, with 190 ft/lbs of torque. It had a top speed of 150 mph, and a 0-60 mph time of 5.3 secs. It was built on the same production lines as the Elise. Lotus ceased production of the VX220 in 2005. 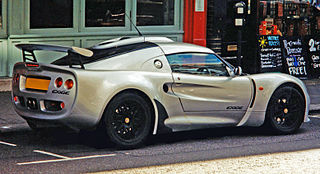 Introduced in January 2001 for use on the track, the Lotus Elise Sport 190 sports car featured a heavily modified 1.8 litre Very High Performance Derivative (VHPD) Rover K-Series engine, developing 189 bhp. It produced a top speed of 131 mph, with a 0-60 mph time of 4.3 secs, and a 0-100 mph time of 10.7 secs. It used drilled disc brakes all round, with competition suspension and gearbox. A 2001 Lotus Elise Sports 190 in very good condition would be priced in the region of £39,000/$60,000, whilst a Series 1 Exige of 2000 would command around £29,000/$45,000.